ALL Aboard, new train obstacle course! 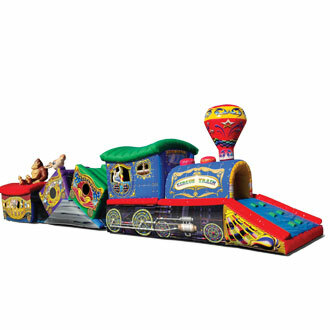 Description: check out our newest inflatable, the circus train obstacle course. this awesome obstacle course has popups, climb area, crawl are, slide, and features the graphics of a real train. be one of the first to rent this new circus train obstacle course.